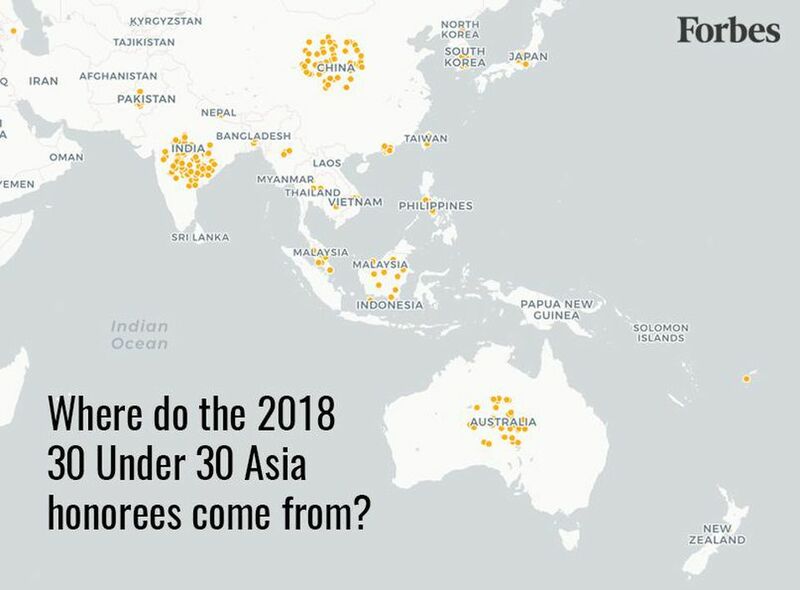 On Tuesday morning, Forbes released its annual 30 Under 30 Asia 2018 list that highlights 300 remarkable young individuals under the age of 30. 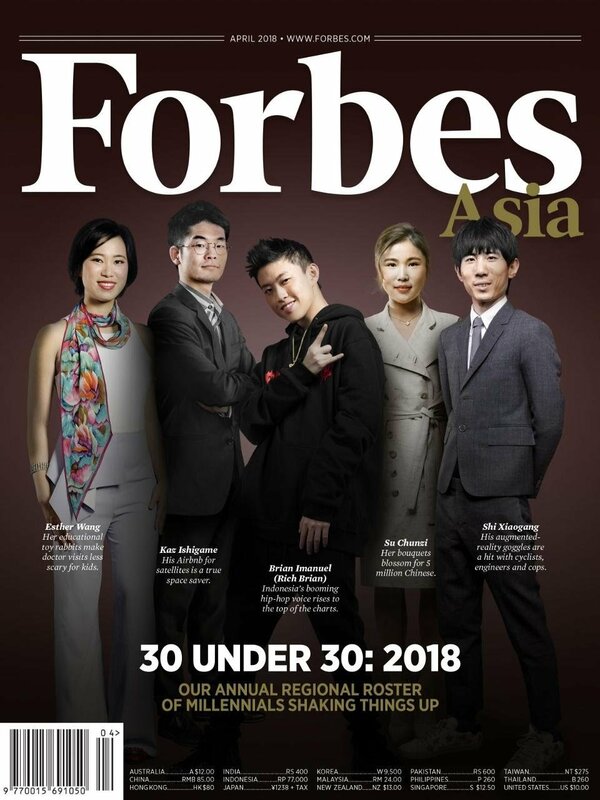 “Forbes’ annual list is packed with innovators and disruptors who are reshaping their industries and changing Asia for the better. The list features 300 entries whom we picked from more than 2,000 nominations with the help of an A-list judging panel who are highly respected in their fields”, the business magazine wrote. India and China have dominated the list with 65 and 59 honorees, respectively. Australia came third with 35 nominees in total, followed by South Korea with 25 honorees. With four entrees, Nepal has also fared pretty well on the list. The list has been divided into thirteen different categories: Big Money; Celebrities; Consumer Technology; Enterprise Technology; Entertainment & Sports; Finance & Venture Capital; Healthcare & Science; Industry, Manufacturing & Energy; Media, Marketing & Advertising, Retail & E-Commerce; Social Entrepreneurs, The Arts and Youngest. Aayushi KC is the Founder of Khaalisisi, a platform where individuals and organizations can connect to the garbage collectors (Khalisisi friends). 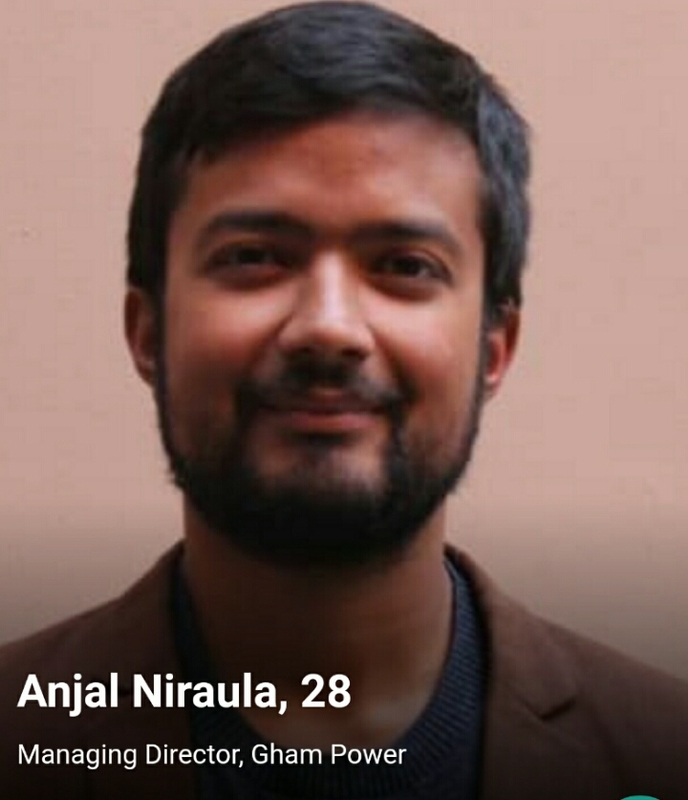 The 28-year-old entrepreneur is working towards a zero-waste goal in Nepal. She quit her job in USAID and founded Khaalisisi Management Pvt. Ltd. that currently connects over 13,000 recyclable waste-buyers to waste-sellers. She has been listed under the Social Entrepreneurs category. Listed under the Industry, Manufacturing & Energy category; Anjal Niraula is the Managing Director of Gham Power, a company that develops solar micro-grids and commercial off-grid systems. Having started in Nepal in 2010, the company has installed 2.5MW of solar micro=grids across more than 2,000 projects. 28-year-old Niraula is also a member of the World Energy Council’s Future Energy Leader program. 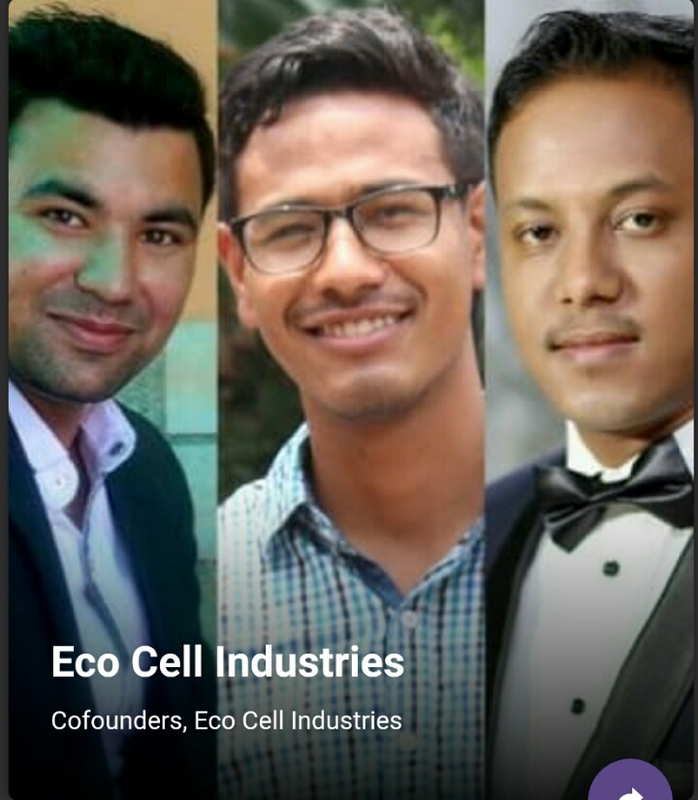 Nishan Shreshta, Sacheet Pandit and Subash Shrestha founded Eco Cell Industries in the wake of the 2015 earthquake to create a fast, cheap way of reconstructing buildings. The startup manufactures economic, environment-friendly, earthquake resistant building materials. They have created interlocking bricks, made mostly of soil and 10% cement, which are then compressed by machine. Apart from the constructions materials, they also supply machinery and provide necessary consultation and training. The startup is also featured under the Social Entrepreneurs category. 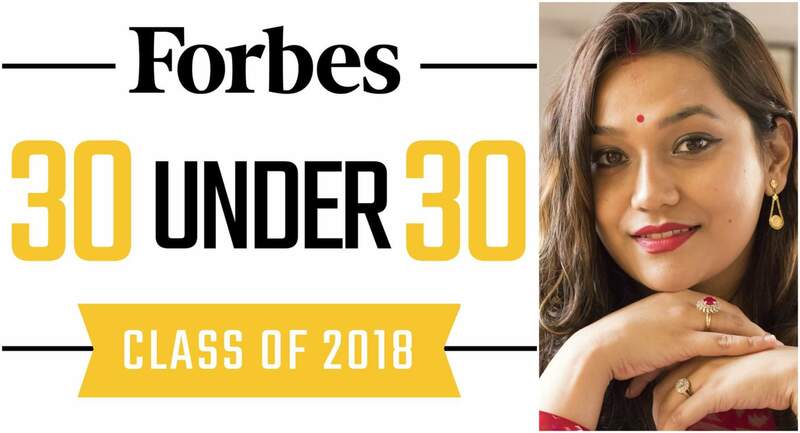 Another youngster to have made the list under the Social Entrepreneurs category is Kanchan Amatya. 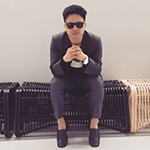 The 23-year-old activist and entrepreneur is the Founder of Sustainable Fish Farming Initiative (SFFI), the organization that specialises in solving food insecurity and poverty through sustainable aquaculture. It provides the women in rural areas with access to finance, technology, local assets and training. Amatya also serves as UN Women’s Global Champion for Women’s Economic Empowerment. Her work has been recognised by former US President Bill Clinton, the Government of Nepal, and the United Nations. Some popular names on this year’s list include Korean actress Seo-Hyun Ahn of Okja fame, Australian actress Katherine Langford from Netflix series 13 Reasons Why, Indonesian rapper Rich Brian, Indian actress Anushka Sharma, Pakistani singer Momina Mustehsan, K-pop band BTS and the Grammy award winning music producer DJ Flume from Australia, among others.